Orders will be ship out within 2 to 3 business days from the time of purchase. Please note our warehouse is closed on Sundays. Packages returned to the Spigen warehouse due to incorrect shipping information may be given a PRODUCT REFUND (excluding shipping fee). We are not responsible for any items/packages lost/damaged during transit or if it has been tracked as delivered. Orders will ship out once ALL items can be fulfilled within the purchase. Paypal orders with lacking requirements will be put on hold and will be shipped once the requirements are completed. For money remittance transactions, it will incur additional 1 day processing time for money claiming before your orders can be shipped out. SALE PRICES are website exclusive and may incur additional processing time of 2-3 days because some items will be pulled out from branches. Orders placed during Sundays and holidays will be processed the next available business day. Additionally, orders placed after 3:00 PM will be processed on the following business day. Timely delivery is subject to the Terms of Service published by the carrier. Please note circumstances out of our control such as natural disasters, holiday delays, etc. may cause shipping delays and postponements. We can ship nationwide. No international transactions. If your order has not been shipped yet, we will be happy to assist you in cancelling your order. Simply email us at shipping@spigen.ph. If your order has already been shipped, we won't be able to cancel your order. You can wait for your order to arrive then just ship it back to our warehouse. You may be given a PRODUCT REFUND (excluding shipping fee). Please email us at shipping@spigen.ph. All orders are subject to approval based on the order information provided. All orders may be placed on hold for further security verifications if information is found to be fraudulent and/or the order total exceeds Php 6,000. In the occasion an item is out of stock or unavailable, your order may not be shipped until a Customer Care Representative has contacted you for further instructions. If you want to use another courier, please contact our Customer Care Representative before you proceed your payment. Timely delivery is subject to the Terms of Service published by the carrier. Note that circumstances out of our control (natural disasters, holiday delays, etc.) may produce shipping postponements. ** For orders with 3-4 items you need to double the shipping fee or contact our CSR for freight computation. ** For sale items, we can only accommodate it through LBC. Choose LBC upon check out. ** For accessories order, you may be contacted by our CSR for additional freight if it won't fit the courier's small pouch. Please email shipping@spigen.ph to request tracking numbers if we missed to update you. 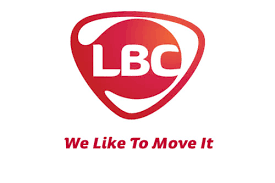 You may track your order on LBC website by simply entering the tracking number in their tracking system.